﻿ HJC release helmet for big heads! HJC release helmet for big heads! 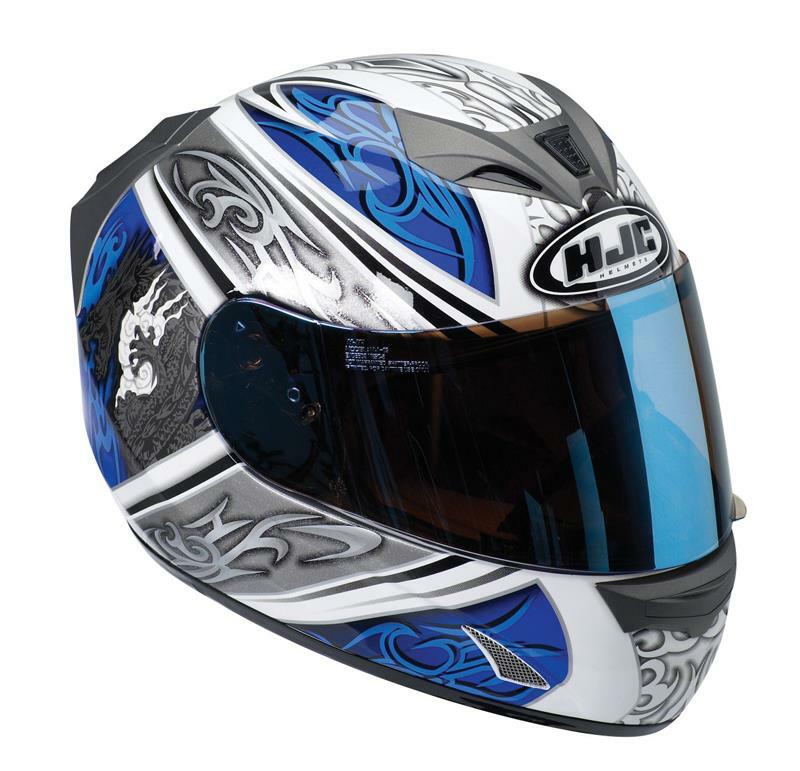 The choice of lids for head sizes above XL (62cm) is very limited and above XXL (64cm) practically non-existent, but HJC have just released details of one of their most popular lids in a size XXXL (65/66cm). The FG-15 is what Ben Spies uses in WSB. This multi-fibre (fibre glass, kevlar, dyneema) helmet comes with a quick-release locking race visor, removable & washable 'SilverCool' breathable liner and lots of ventilation. Colours are not limited to plain black (although that is available), as all three colours of the popular 'Draco' graphic are included in the line-up. Price is £159.99 for plain black and £179.99 for the Draco graphic in red, blue or black. HJC RPHA 90 – feature packed and RiDE recommended!